The primary motivation for launching our Bulgarian Citizenship page is to facilitate the efforts of the Bulgarian government to handle the negative impact on the demographic crisis in Bulgaria. This aim can be achieved by welcoming foreign nationals of Bulgarian origin and attracting highly-qualified and wealthy foreign nationals to obtain Bulgarian citizenship and relocate to Bulgaria. To achieve optimal results and to ensure fast and hassle-free procedure for our clients, we work closely with the State Agency for Bulgarians Abroad and the Bulgarian Ministry of Justice. Obtaining a Bulgarian citizenship requires careful planning and excellent communication & cooperation between the applicant, his/ her lawyer and the responsible government authorities. Our lawyers have extensive professional experience and solid training in the field of obtaining Bulgarian citizenship and passport. We can advise you on the eligibility of Bulgarian citizenship, to assist in the sourcing, clarification and preparation of the supporting documents, to liaise with the relevant government bodies, to assist at each step, including by completing many of the steps on behalf of the applicant, to put together the applications and submit and represent, among others. In exchange for a safe, state-guaranteed and fully refundable investment of approximately 512,000 EUR, applicants from all nationalities can obtain Bulgarian citizenship and passport after five years. The investor is not required to live and work in Bulgaria, or to be fluent in Bulgaria. The investment is fully refundable. Holding the permanent residence for five years, we can initiate the Bulgarian citizenship by investment application with the Ministry of Justice. If the investor doubles the investment in Year 2, he/ she will qualify under the fast track Bulgarian citizenship program and may obtain Bulgarian citizenship and passport within 18 months of making the first investment. For further details about how to obtain Bulgarian citizenship by investment, you may have a look at our dedicated Bulgarian citizenship by investment page. The steps to obtain Bulgarian citizenship by investment under the fast-track are the same as the ordinary process. The only difference is that the applicant does not need to hold the permanent residence for five years but he/ she can apply for Bulgarian citizenship after holding the permanent residence for 12 months only. This allows the applicant to obtain Bulgarian passport in two years. The process of obtaining Bulgarian Citizenship by origin can be described as a two staged procedure. First, the applicant have to apply for a certificate of Bulgarian origin with the State Agency for Bulgarians Abroad. If successful, the State Agency issues a certificate of Bulgarian origin which is required for stage 2 – citizenship application with the Ministry of Justice. If unsuccessful, our Bulgarian citizenship lawyers will assist you to appeal the refusal of issuing a certificate of origin with the Sofia Administrative Court. For more details about obtaining Bulgarian Citizenship by Origin, please do not hesitate to contact us. The Bulgarian Citizenship Act allows any person who has resided in Bulgaria for a period of time defined by law and satisfies the requirements in Chapter III of the same Act to obtain Bulgarian citizenship by Naturalization. If we have to compare obtaining citizenship by Origin and the Naturalization route, the latter follows more rigorous process. Any person who would like to obtain citizenship by naturalization is required to prove his/ her fluency in Bulgarian language subject to obtaining a language proficiency certificate from the Ministry of Education and to prove that he/ she has an income and occupation enabling him/ her to support himself/ herself in the Republic of Bulgaria. 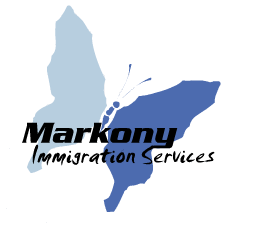 For more details about obtaining Bulgarian Citizenship by Naturalization, please do not hesitate to contact us. Under the Bulgarian Citizenship Act any person who has been, for at least three years, and still is, legally married to a Bulgarian citizen and not less than three years as of the date of filling the application for naturalization, was granted a permission for permanent residency my acquire Bulgarian Citizenship by Marriage. For more details about obtaining Bulgarian Citizenship by Marriage, please do not hesitate to contact us.